The Center offers on-going Art Classes for K-12 students and special classes for Teens & Adults. The students learn the seven Elements and seven Principles of Design. 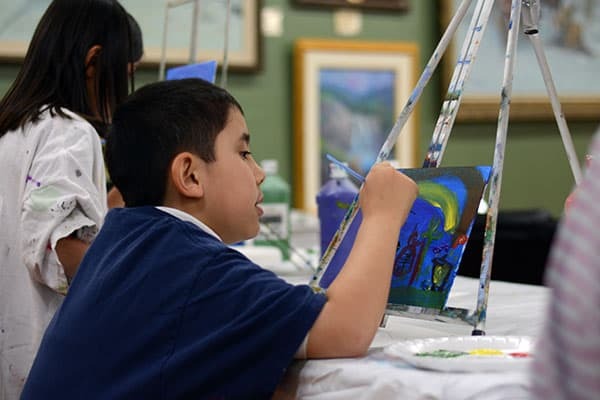 They also learn to communicate through the arts and they make a connection within and across the arts to other disciplines, life, cultures, and work. We have classes specifically geared to home-schoolers as well as an after-school program. Please visit our website for upcoming special events and to register for art classes. 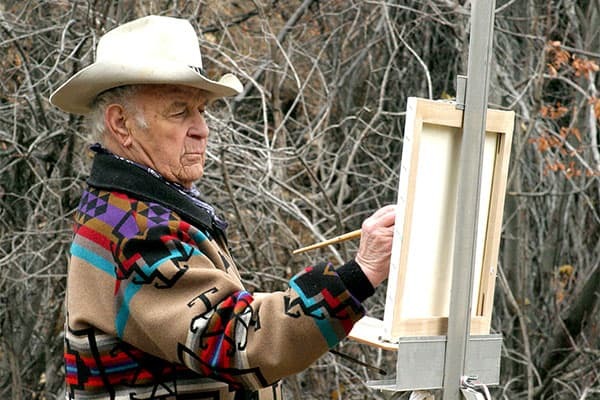 Numerous paintings by renowned Western Artist Fred Oldfield are on display at all times. The collection highlights some of his earliest work from the 1940’s through 2017. You can also view a recreation of Fred’s art studio. There is also a 20 foot mural by Fred Oldfield depicting the daily life of the Yakama (yes Yakama) people as seen by Fred in his youth on the Yakama Indian Reservation. The mural was painted in 2005. We have hundreds of artifacts depicting Washington State history. This is done by telling the story of Fred Oldfield’s life during the early 1900’s in the northwest. 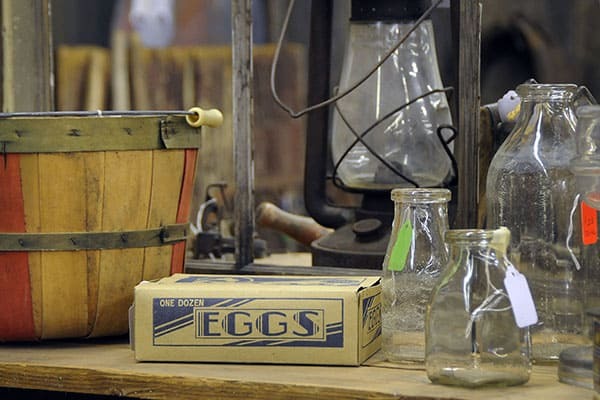 A pioneer’s cabin, a general store, a livery stable, and a chuck wagon, are some of the displays that have been recreated from Fred’s memory. 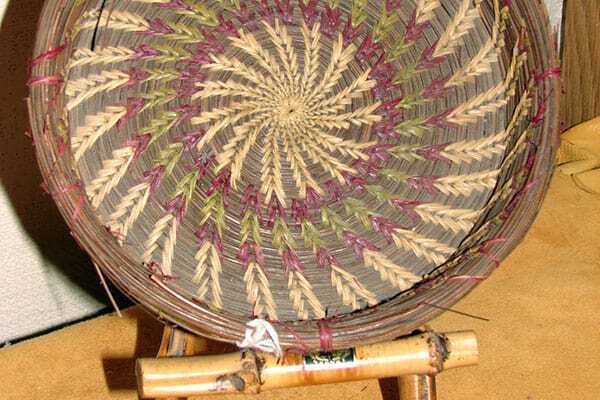 The Center proudly presents one of the most extensive Native American Basket, beadwork, carvings, arrowheads, and Native Artifact collections in the Pacific Northwest. The pieces span from the Plains Indians to the NW Indians. The baskets are primarily Cowlitz. We are the exclusive outlet for Fred Oldfield prints, cards and original paintings. 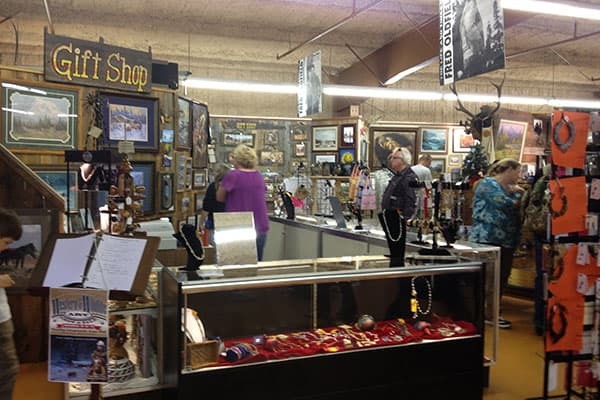 We also showcase several NW Artists works. Bring your group for a special tour of the Heritage & Art Center. We welcome school field trips of all ages, senior groups, church groups, family gatherings or private tours. The tours are varied; tour only, or enjoy a tour with lunch/dinner, an art class, and entertainment. Please call for more information. 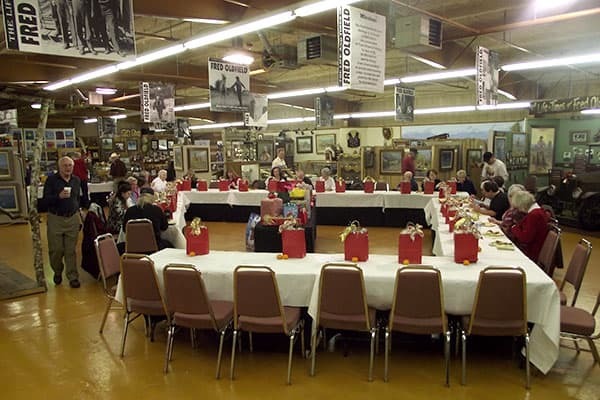 The Heritage & Art Center is available for meetings, private parties, and special events. We can house up to 175 people. Contact us for more information. My children have been enrolled in the Fred Oldfield Art Center for the last 3 years. The teachers and staff are very friendly, caring, and provide an environment where my children feel inspired to create and learn various skills. It’s a great place for exploring the arts.